The Emerald Necklace is one of Boston’s treasures. This park system ringing parts of Boston was envisioned and created by Fredrick Law Olmsted (1822-1903) over a hundred years ago. Olmsted, as many know, was the designer of NYC’s Central Park. While Central Park is a chunk in the middle of Manhattan, the Emerald Necklace is woven into the flow and rhythm of the city of Boston. Parts of the Emerald Necklace parallel some of the busiest sections of Boston, but others make you feel that you are nowhere near a city. The Necklace runs for quite a distance. The complete system is over seven miles long from end to end and covers over 1,100 acres. To get a sense of the full Emerald Necklace, download this 31″x17″ map of the entire park. 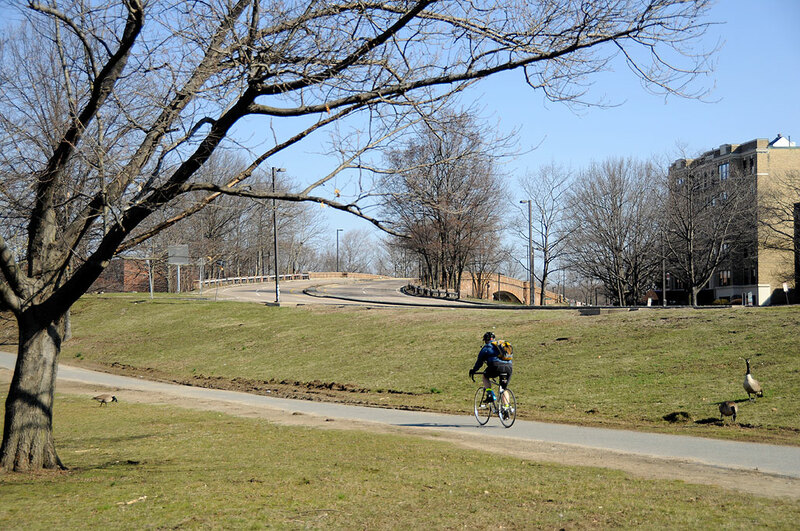 There are busy spots (Public Garden, Jamaica Pond, Fens) and quiet sections (connecting paths, Arnold Arboretum, Riverway). Of course, when we say “quiet,” we mean city-quiet where you may see a person every minute or two. Still, quiet enough where one can hear the birds sing, the ducks quack, and if one stays still long enough, one may even catch a glimpse of a chipmunk or two. We took a stroll along the Olmsted Park section of the park yesterday. All signs of the April Fool’s Days snow storm from a week ago have disappeared. Some daffodils have already bloomed. The wild irises have started poking out of the ground. Spring activities have definitely kicked into high gear. We will go back in a few weeks to grab some shots of the irises in bloom. 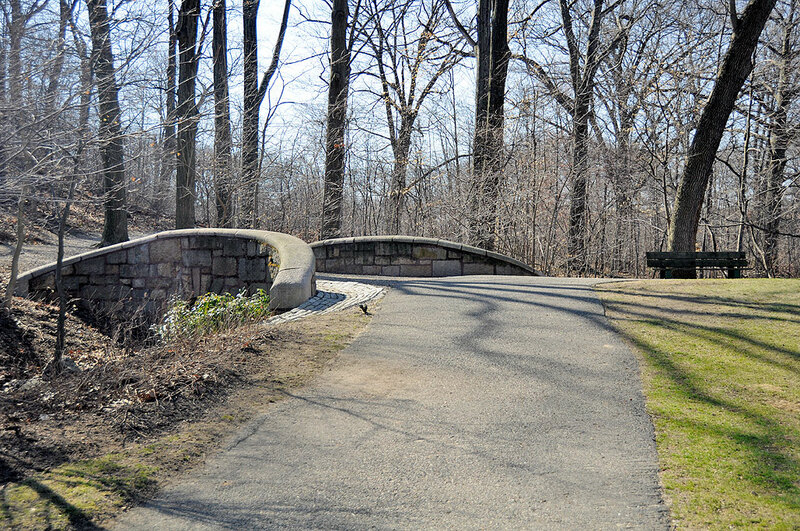 Local readers who want to reach out and touch a bit of nature but don’t have the time to get out of the city should take a stroll anywhere along the Emerald Necklace. It is a mini break that is easy to take and will take you away. Just do it.